The Western Australian Academy of Performing Arts is one of Australia's premier performing arts schools, with the largest full-time technical training facility in the country. This is where Australia's brightest technical artists go to learn the ropes in broadcasting, costume, design, lighting, props and scenery, sound, and stage management. WAAPA boasts twelve large rehearsal and dance studios, several music and ensemble studios, a specialised visual and performing arts library collection, sound and lighting studios, a commercial recording studio, props and scenery workshops and a number of exhibition spaces. Studio A, at 209.74 m2, is WAAPA’s largest dedicated dance studio. With parquet flooring, an integrated lighting and sound system and tiered seating for up to 100 audience members, it also doubles as a performance space for contemporary and ballet seasons. View Studio A in full 360 degrees. Studio D is our dedicated music theatre studio. 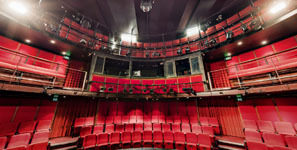 At 170.67 m2 it is large enough to accommodate up to 30 performers and is used for all rehearsals. Its hardwood floors make it ideal for tap dancing. We also provide an array of rehearsal and practice rooms, accommodating actors, dancers, musicians and soloists. Our costume and design students have their own purpose-built studio spaces, equipped with central work benches for tutorials, lectures and practical classes. Individual work stations are available for the students for the duration of the course and are accessible weekdays, weekends and after hours. These studios are equipped with all of the materials and equipment required by professional costumiers and designers to achieve the highest quality. Across the corridor is a computer lab, equipped with a full creative suite, including CAD: Vector Works and InDesign, Photoshop and Illustrator. WAAPA’s three main sound studios are fitted out with the latest in digital audio editing and mixing studio equipment, in line with current worldwide industry standards. Each suite has a specific design geared towards theatrical sound post-production, music recording/mix down and surround sound film post production, and projects can be exchanged between suites to manage the students’ workflow. The IT infrastructure has been dramatically improved, with the addition of three Mac Pros with Pro Tools HD, Final Cut Studio and Waves Audio Effects Plugins installed. 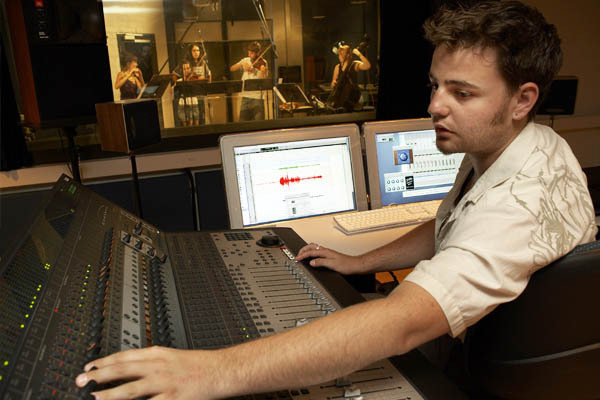 The Commercial Music Studio and Surround Sound Suites have also had software upgrades that bring all sound studios at WAAPA into line, allowing for greater compatibility between suites. The work stations (MBox Lab and Digi I/O lab), where students hone their skills before moving into the bigger studios, have had software and operating system updates to the latest version of Pro Tools and OSX. The upgrades extend the mixing capabilities of all work stations and give students the best possible ‘real world’ industry experiences. View our Midi Lab in full 360 degrees. The Commercial studio is used by Music Production and Sound Design students for the recording of live bands and music ensembles and is an industry standard recording studio with an adjoining live room. 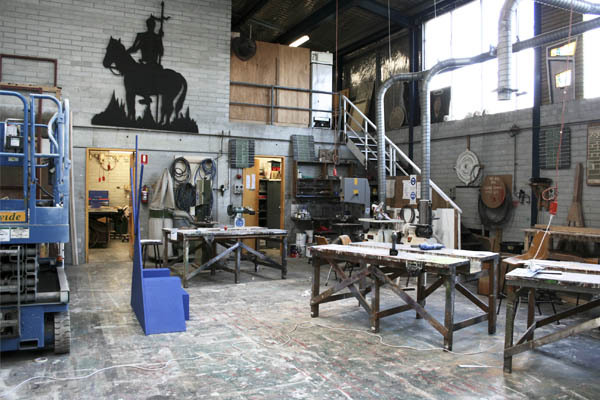 The Props and Scenery workshops are versatile spaces that meet the demands of this diverse technical area. Our state-of-the-art workshops contain all of the specialised equipment and machinery needed for carpentry, metal works, mechanics, plastics, mouldings, scenery painting, sculpting and special effects. 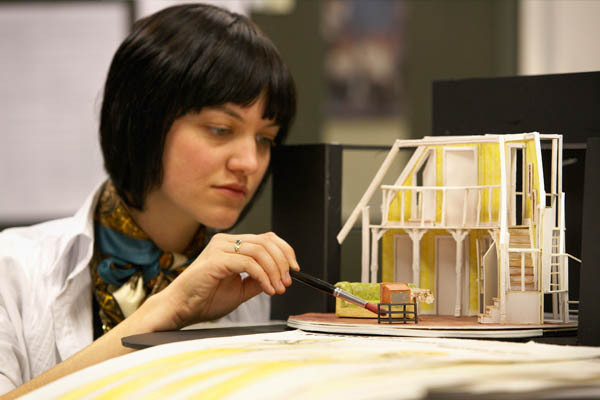 View our Props and Scenery Workshop in full 360 degrees. WAAPA Lighting students have access to state-of-the-art facilities, stocked with equipment from major industry suppliers such as ETC, Jands, MA Lighting and Strand. 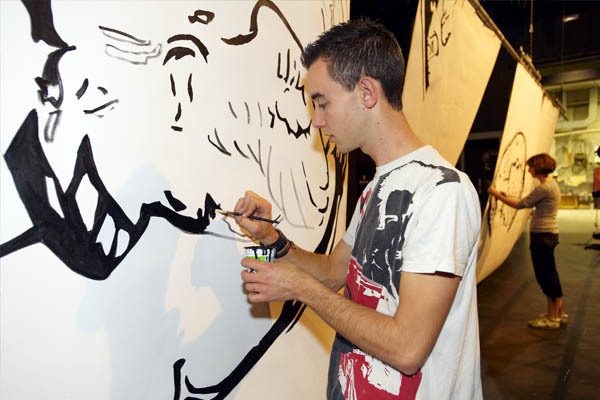 All students are taught in Arkaos and Vector Works. In September 2013, through the generosity of the Friends of the Academy, WAAPA took delivery of a new Grand MA2 lighting control console. This acquisition enables us to provide training on equipment that is recognised worldwide as the pinnacle of stage lighting. Grand MA control consoles are used extensively in performing arts complexes, the corporate events sector, theatres, and for rock & roll touring acts across Australia and internationally.